At our EBI Conference a couple weeks ago I must have been asked by 15-20 people how I find so much time to write. I wrote about this recently but beyond the usual time management/lifehack stuff that people like to read about on the Internet, it really comes down to an interest in the topic at hand. Basically, the best answer is I’m obsessed with the financial markets and all of the stuff that goes along with them. I love reading about this stuff, talking about it, writing about it, and thinking about it. The person I talk to about this stuff more than anyone is my friend and colleague Michael Batnick. Michael and I joke that we probably talk to each other more than we talk to our own wives. He lives and works in New York while I live and work in Michigan so we’re probably on the phone with each other a minimum of 5-6 times a day. We also hold simultaneous conversations with one another through direct messages on Twitter, quick hits on Slack, text messages, email, and occasionally Skype. The majority of the time we talk about different research we’re looking at, what we’ve been reading, crazy things going on in the markets, irrational things being said or done by investors, ideas for writing material, dad talk, what’s going on with our own investments or personal finances, TV shows/movies/comedy specials we like or dislike and much more. A few months ago I told Michael if I ever started a podcast it would be geared towards these types of conversations (which was partly inspired by a podcast Michael, Barry, and Josh did with Patrick O’Shaughnessy). 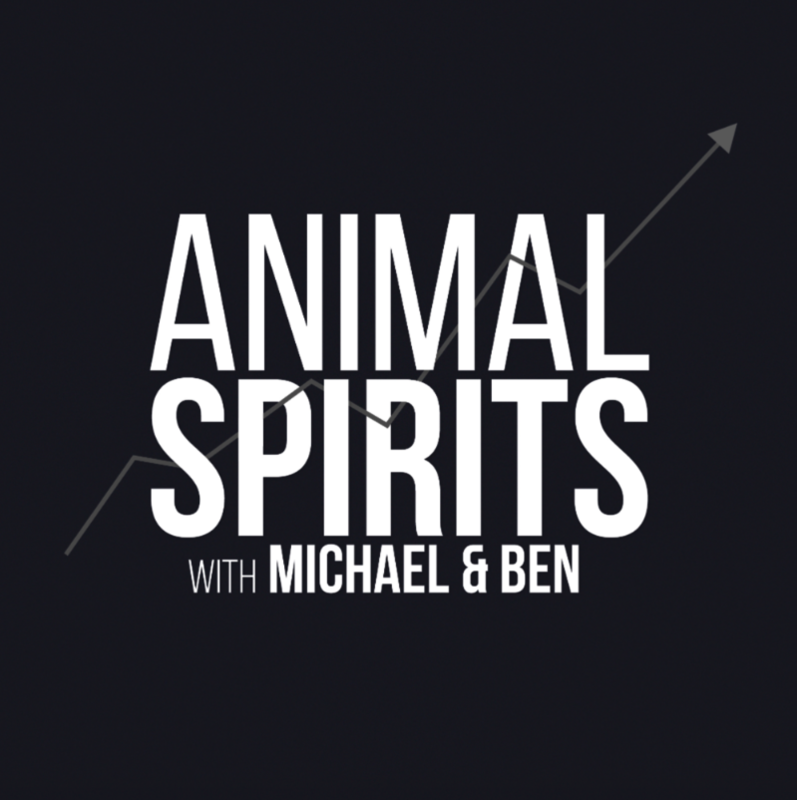 So, like everyone else on the planet, we’ve decided to start our own podcast called Animal Spirits with Michael & Ben. Plus, it’s always been a dream of ours to be sponsored by Blue Apron or Squarespace and the only way to do that is to start a podcast. How interesting it would be to know how everyone on social media allocates their individual portfolios. How we each personally invest our money. Investing mistakes we’ve made along the way. The stock that changed Michael’s life. How Michael learned about trading the hard way. How I thought I was going to be the next Warren Buffett. My foray into Bitcoin and thoughts on cryptocurrencies. My experience investing during the Great Financial Crisis. The difference between % returns and $ returns. Why it can be just as hard to hold during a bull market as it is during a bear market. And much more about our personal experience investing in the markets. The goal will be to release a new episode each Wednesday with the possibility of bonus emergency episodes when necessary. We have plenty of ideas about where we want to take the show. We’ve got two book ideas we’ve been working on for the past couple of years that will probably be easier to do in podcast form. Otherwise, we’ll be chatting about our ideas, what we’ve been reading, listening to, watching, and thinking about lately. Feel free to shoot us an email at animalspiritspod@gmail.com with any feedback, questions, recommendations, subtweets, or ideas for future topics of conversation.